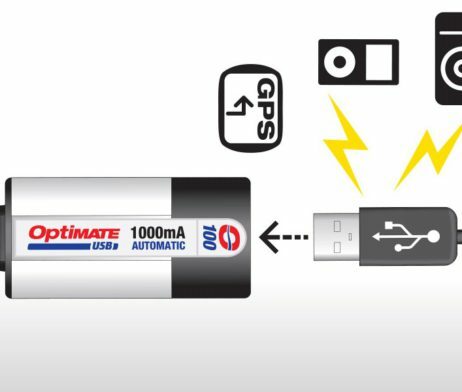 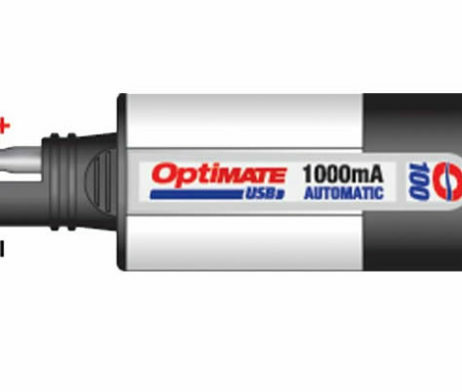 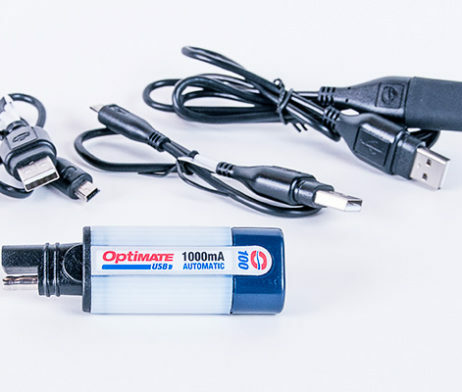 OptiMate USB circuitry include supply battery protection; shuts off if vehicle battery drops below 12.4V (+/-50-60% charge) and restarts when the engine is running again. 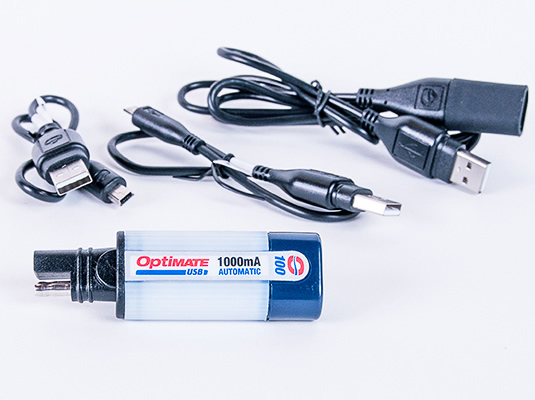 OptiMate USB products are weatherproof rated. 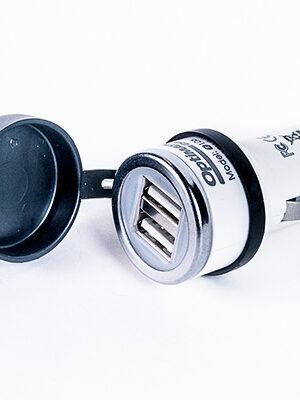 You can now charge your USB compatible device while on the go: ipod, mobile phone, digital camera, satellite navigation device, you name it. 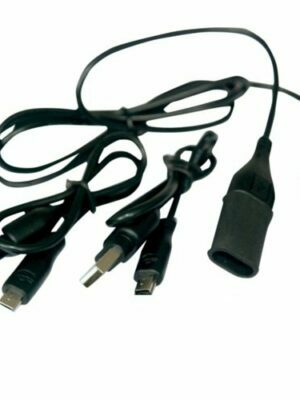 charger can deliver, otherwise it will slow down charge to protect itself or even refuse to be charged. 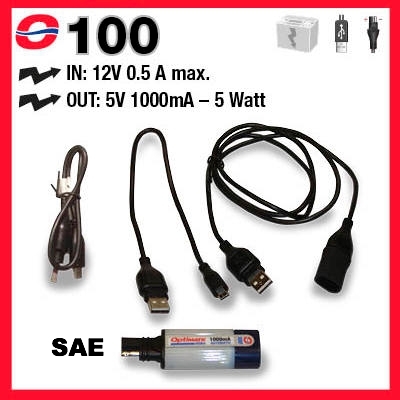 Vehicle battery protection : shuts off if charge level drops below 50%, guarantees power to start the engine. 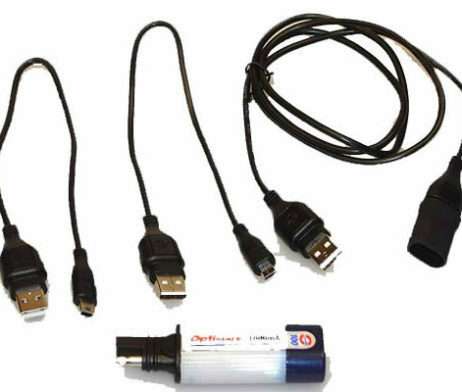 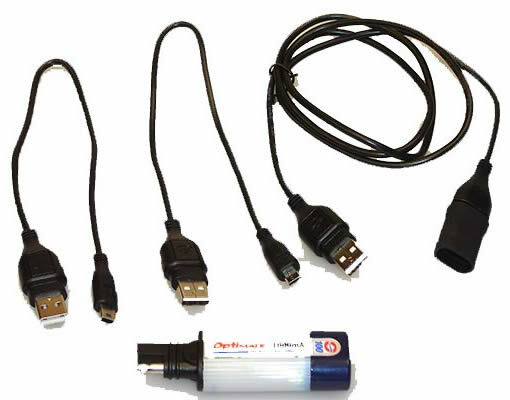 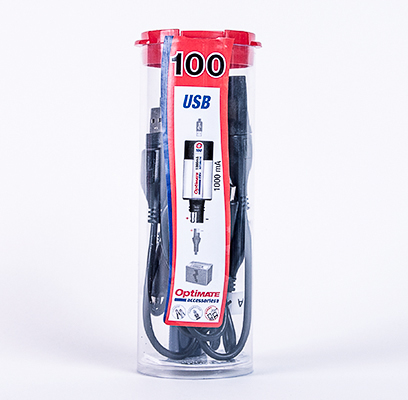 SKU: O100 Category: USB Brands: Optimate. 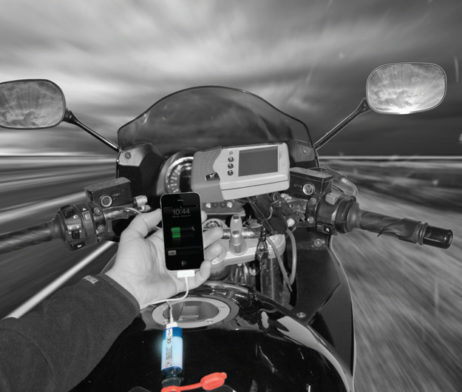 Charge your portable devices while riding: connect the USB charger to your vehicle’s battery and charge a variety of devices. 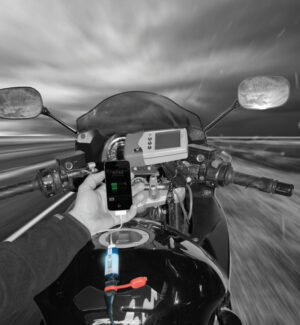 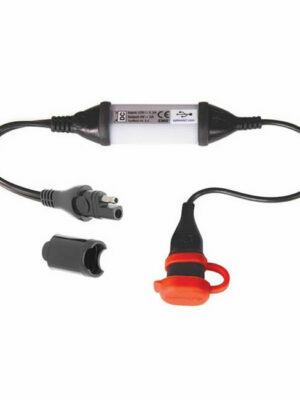 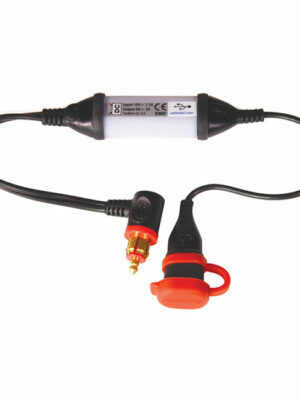 Charger / Adapters are Apple, Garmin, Blackberry compatible.